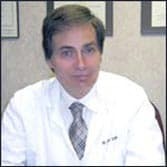 Acne Treatments - Kill the Bacteria that causes Acne! Today’s lasers, Radio Frequency, SilkPeel Microdermabrasion and light-based therapies give patients powerful options in treating acne. Intense energy which in turn produces heat can destroy the bacteria that cause active acne. Additionally, sebaceous (oil-producing) glands are shrunken with laser energy which causes the glands to produce less oil, thereby limiting future outbreaks and reducing pore size. New Radiance of St. Lucie has several effective acne laser treatments that are proven and successful. There are acne creams, lotions, gels, washes and ointments which are all mildly effective. Their ingredients are a combination of benzoyl peroxide, salicylic acid and who knows what. These ingredients may have the clinical ability to kill the bacteria that causes acne (Propionibacterium acnes, or “P. acnes”) breakouts BUT the problem is that when you have skin which is irritated and the pores, by the very definition of acne are blocked, or at least significantly compromised, nothing can happen. These active ingredients just can’t get down into the base of the pore where the P. acnes bacteria reside. This is the dilemma – What to do? Introducing SilkPeel Pore Clarifying Therapy. This is comprehensive acne treatment because it addresses all of the causes of acne – the excess sebum, the P. acnes, and the clogged pores. This is an entirely new approach to acne. The contributing factors to acne are a) production of excessive sebum in skin; b) proliferation of P. acnes bacteria which feeds on the sebum, c) the inflammation & irritation caused by acne and the white cells sent to the sight of that inflammation; and d) clogging of the pores which will thus not allow normal skin oils and sebum to exit, OR medicine to enter. SilkPeel Pore Clarifying Therapy is a specially designed medical device that uses a patented technology called “Dermalinfusion, only truly found with SilkPeel. This is a process of using an abrasive tip to remove the top micro-layers of the skin and at the same time, infuse a active ingredients deep into the skin tissue. This device is different from traditional SilkPeel technology in that it is especially designed to treat acne and uses a medical grade disposable nylon brush tip that is very effective at breaking up the comedonal plug blocking your pores. The bristles get into the plug and break it up. As it does, a closed loop vacuum pulls comedones up and out of your skin, along with the excess sebum, oils and other impurities that are aggravating the skin’s condition. The pneumatic pressure of the closed loop system infuses a salicylic solution right down to the base of the pores where it can really go to work eliminating the P acnes where they have been living. The gentle microdermabrasion stimulates healthy cellular turnover and skin function without the irritation and inflammation associated with other treatments. Over 50% clearance of acne within the first week has been measured, and in some cases as high as 85% clearance in that first week.1 This revolutionary process not only shows the ability to knock acne out, but it works very measurably, very quickly. Perhaps best of all – the Pore Clarifying Therapy can be used in compliment to your preferred at home products, whether they are Murad, ProActiv, Duac, or whatever your doctor feels is best for you. At a minimum Envy recommends you use a good acne wash every day in-between SilkPeel Pore Clarifying treatments. The CLEARLight system is a photodynamic instrument that uses blue violet light waves which penetrate your skin and directly kill the bacteria that lead to inflammatory acne. These light waves also stimulate your body’s own bacteria fighting porphyrins which kill additional bacteria and remain activated to gives a lasting bacterial killing effect even after treatment is ended. This combined effect provides a drug free option for treatment of acne. ClearLight’s APC technology uses intense, 405-420nm wavelength light, which safely and effectively permeates the tissue to reach the Propionbacterium acnes (P. acnes) which are then eliminated. 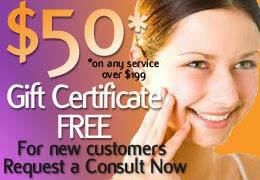 A typical CLEARLight™ treatment session lasts 25 minutes. Patients can relax and listen to music while lying under the warming therapeutic light. After a treatment, patients feel rested and ready to continue with the rest of their busy day. When a pimple forms and clogs the hair follicle pore, an ideal microenvironmental is created. This enables the naturally occurring P. acnes’ bacteria to proliferate and start a cascade of events that lead to an inflammatory response. CLEARLight™ uses blue violet light wavelengths which penetrate the skin and reaches the P. acnes bacteria. These wavelengths of light directly kill P. acnes as well as stimulate the skin’s endogenous porphyrins which are part of its natural defenses against these and other bacteria. CLEARLight™ uses ONLY 405-420nm wavelengths of light which have been best shown to produce these effects in both the laboratory and clinical settings. It completely filters out damaging UV wavelengths. This allows for painless, safe acne treatments. Lux V clears acne safely and effectively with a series of concentrated pulses of light and heat. The green wavelength light penetrates deep enough into the skin to cause proliferation of endogenic porphyrins, resulting in the destruction of the P.Acne. The concentrated pulse is up to 10,000 times more effective in porphyrin activation than the continuous wave light used by other light-based technologies. The red wavelength produces anti-inflammatory results. The addition of heat, unique to the Lux V method, further increases the effectiveness by opening the skin. 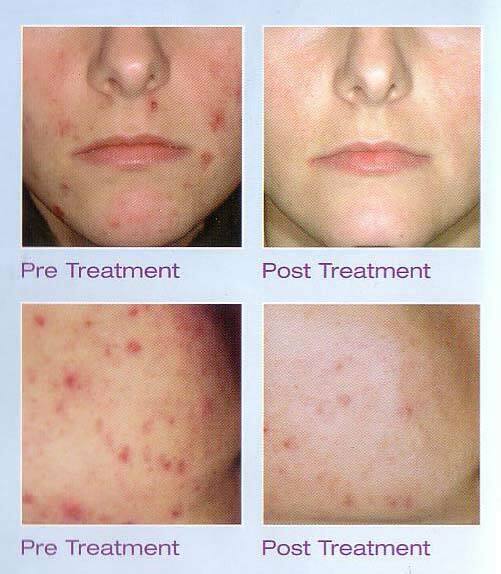 Photodynamic Therapy is used to treat severe acne. A photosensitizer drug is administered to the patient topically or through an injection. When light from the laser is directed on tissue containing the drug, it becomes activated, and the tissue is rapidly destroyed. Patients can return to regular activities immediately following the procedure; however, they must stay out of the sun for a few weeks after treatment. New Radiance also offers other forms of acne treatment in the form of chemical peels and skin care products. Contact us to see which type of acne treatment is right for you!